Ranked in the top 10 costume design schools by The Hollywood Reporter, the graduate Costume Design program trains the designer in the collaborative art of theatrical storytelling with a comprehensive curriculum of the intellectual and actual aspects of costume design. 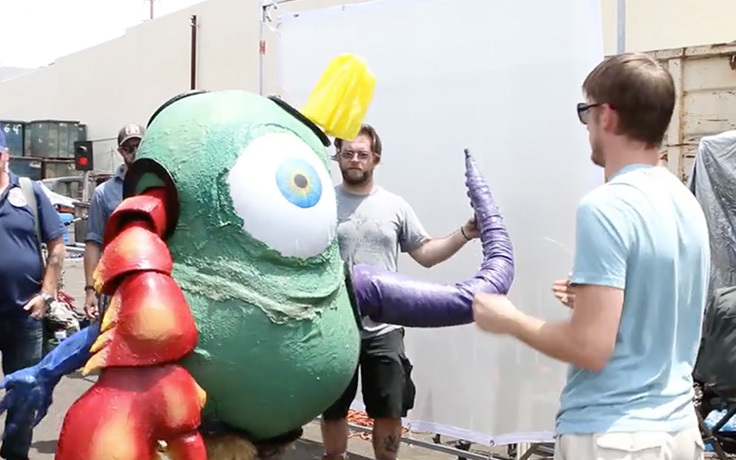 Together with the design team and director, the Costume Designer is responsible for developing the conceptual approach to the storytelling and the specific look of each character in the story. Throughout the program, you will learn to tell stories through drama, comedy, opera, musicals, films, dance, circus and a variety of entertainment models. 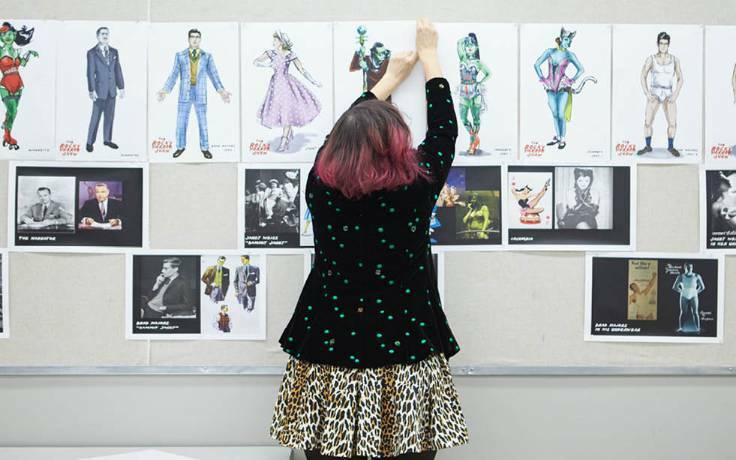 The Costume Design graduate program is structured so that each semester, the theoretical work in the classroom focuses on different genres of theater and entertainment. In your first year, classes will include life drawing, costume rendering, and a design course emphasizing the importance of research, style and character, as well as organizational techniques. 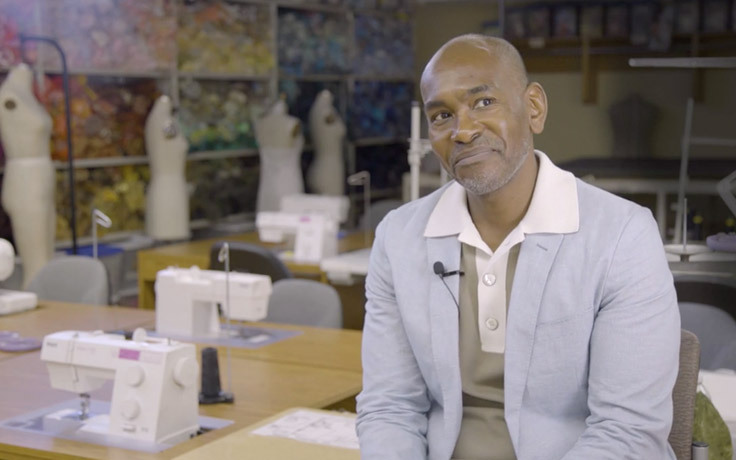 You will also take a first-year graduate costume technology course, and may continue to take advanced technology classes throughout the program. Graduate students will receive production design assignments each year on various school productions, and will be assigned a studio space to complete the work. When not designing, you will receive other costume production team assignments and gain experience as a design assistant, stitcher, first hand and crafts artisan. In addition to your continued hands-on work for actual productions, second-year classes will consist of digital rendering and wet media. A graduate-level costume design course will cover more complex design projects extending into film, dance, operas and musicals. Your third year in the Costume Design program will consist of similar expectations and responsibilities for actual productions. Classes will include portraiture and graduate-level costume design, which will focus entirely on large-scale, avant garde, nontraditional costume design. You will be required to complete a thesis prior to graduating that will take the form of a retrospective gallery show containing the your work, both realized and theoretical. In addition, you will have to present a professional gallery presentation depicting the depth of your work for your thesis. Alumni of our Costume Design program have all had great success building careers in professional costume design. Some even have Tony nominations as proof. You can see our graduates’ creativity shine in various Broadway and off-Broadway productions, on dance stages and in numerous regional theaters across the country. Many work in film and television and in a wide variety of other entertainment forms.